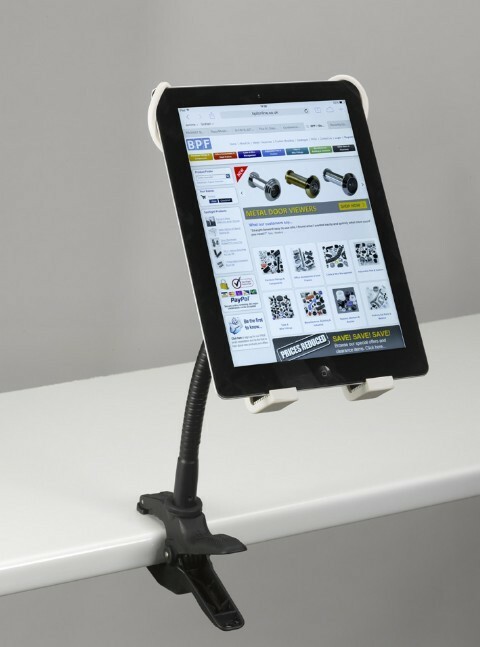 These Tablet Arms are designed for use with a variety of tablets ranging from 6 to 12 inches, thanks to flexible mounting straps. The articulating 'flexi-arm' has a reach of 20cm with a super robust clamp at one end for fixing to any surfaces up to 5cm in thickness. Ideal for workplaces such as offices, garages and any application where hands free is required. Also perfectly suited for use at home, in the kitchen or for sports activities. Technical Data / Material Spec. Also available as a special order, subject to minimum order quantities in the following colours : Light Grey & Orange or Light Grey and Green.